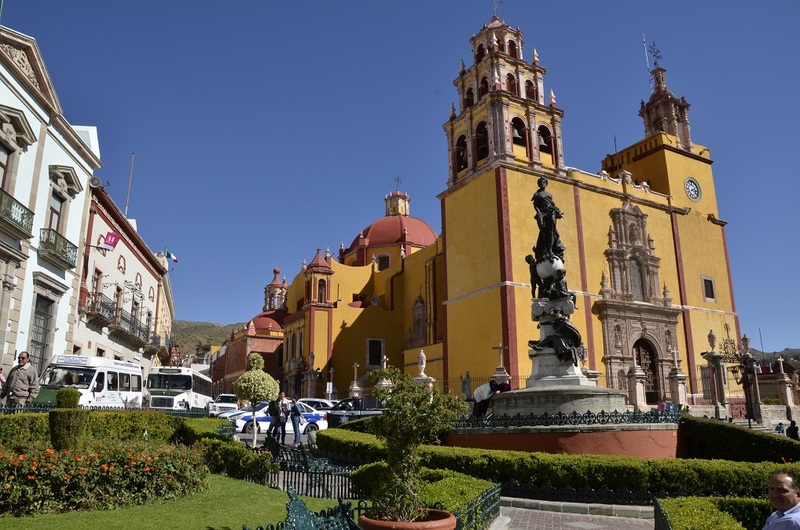 After a great day touring San Miguel de Allende, we headed to beautiful Guanajuato, a World Heritage site and the place where the first battle of the Mexican War of Independence took place. 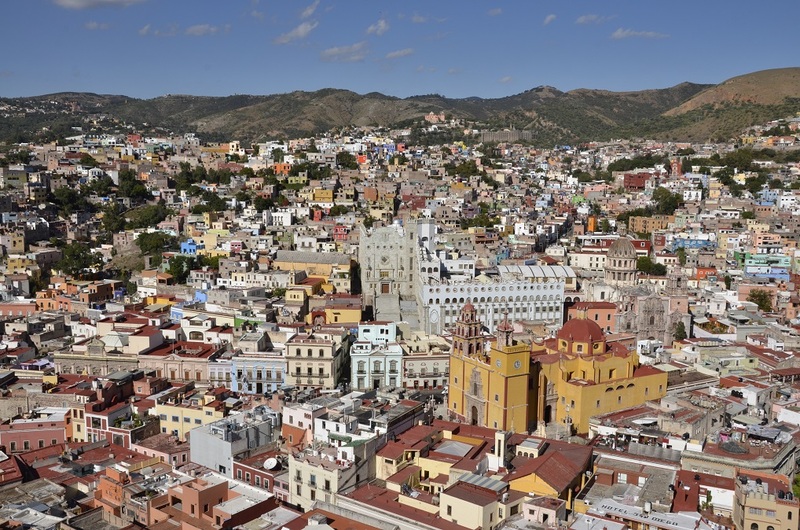 Guanajuato is also known for hosting the Festival Internacional Cervantino or “El Cervantino” (named after Spanish writer Miguel de Cervantes), the most important international artistic and cultural event in Latin America, and one of only four events of its type in the world. 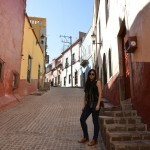 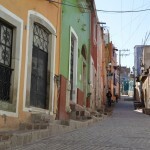 Guanajuato’s streets are very narrow and winding with several alleys and long sets of stairs up the mountainsides. 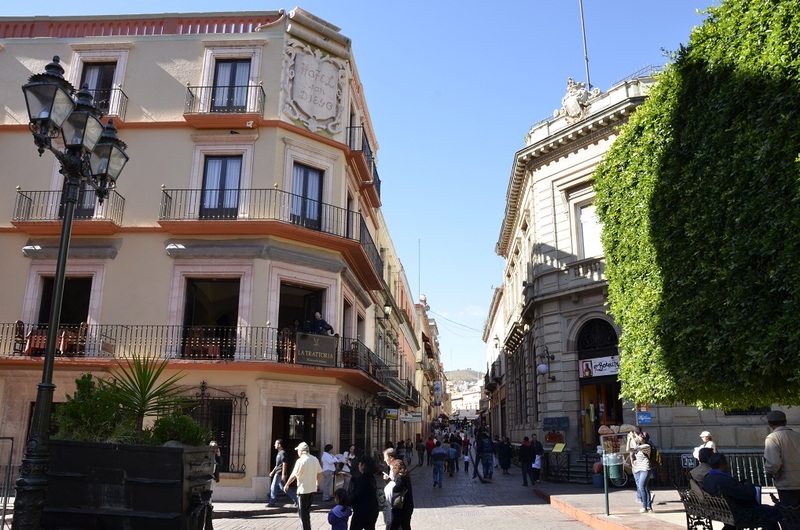 The city centre is full of plazas with colonial-era mansions, churches and historic buildings that give it great charm and beauty. 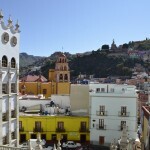 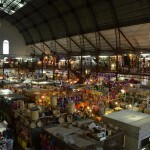 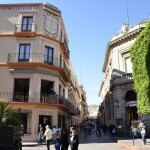 We arrived to Guanajuato in the early afternoon and after we checked in at our hotel we walked to the city centre. 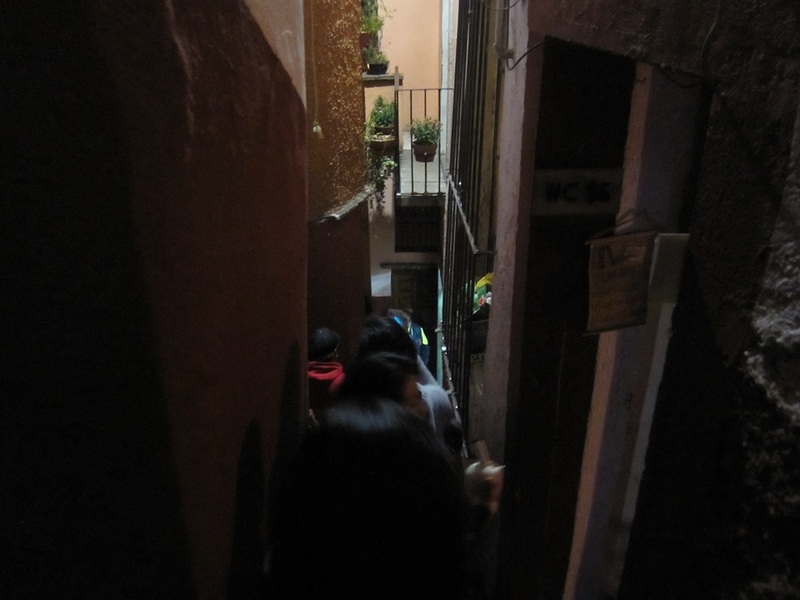 The walk was an interesting one as we tried to find our way through the narrow streets and alleys while being swarmed by tour guides wanting to sell us on the many tours available (big problem when you travel with a white, tall, ginger boy who has “tourist” written all over him…). 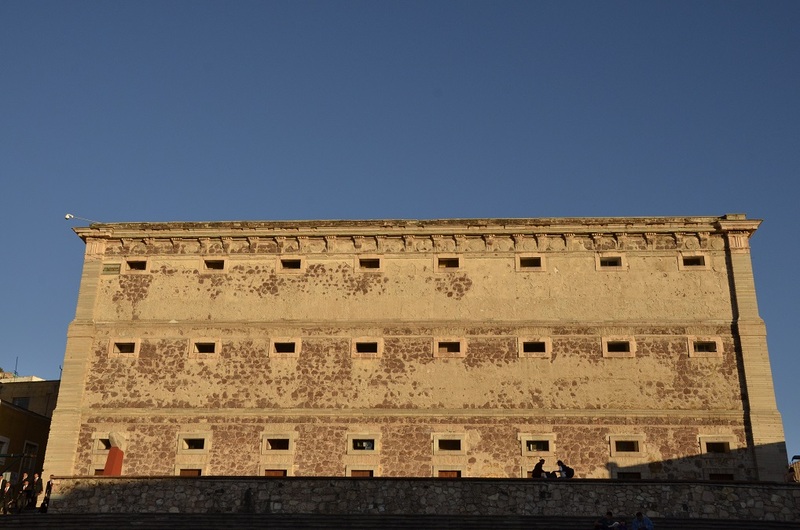 First, we checked out the University of Guanajuato where we walked up the 113 steps to the main building (decent workout for the day). 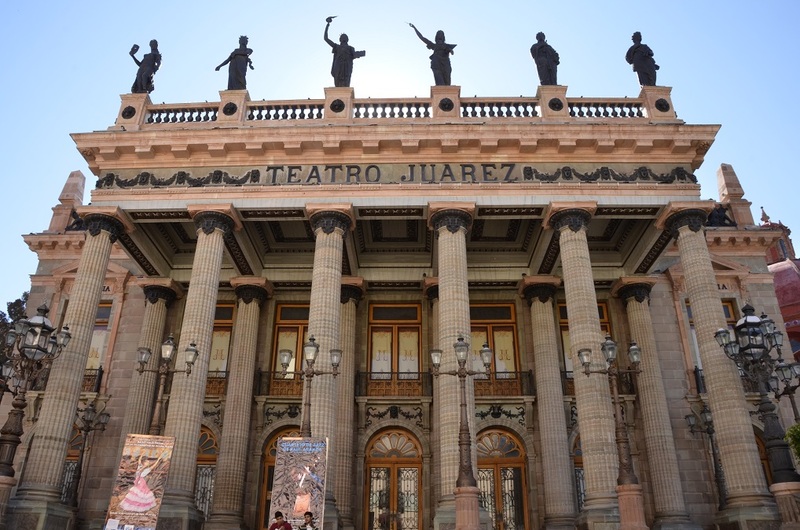 Our next stop was the “Jardin de la Union”, the most popular plaza in Guanajuato, where you can see the San Diego Church (the main one in the city) along with several small cafes, restaurants and the Juarez Theatre, considered one of the most beautiful theatres in the country. 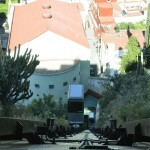 Behind the Juarez Theatre is a cable car that takes you up the hill to the giant statue of “El Pipila”, an insurgent who strapped a large flat stone onto his back and burned the entrance to the Alhondiga de Granaditas (a large stone building used to store grains and a refuge for the royalist troops during the first independence battle) allowing the insurgents to enter and take the building. 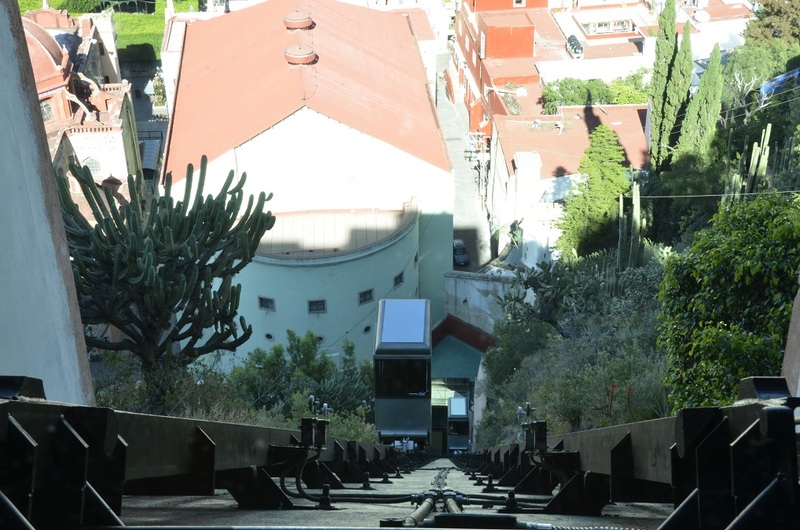 The cable car up was a fun ride, but even better was the view of Guanajuato at the top as it was absolutely amazing, full of color, charm and history. 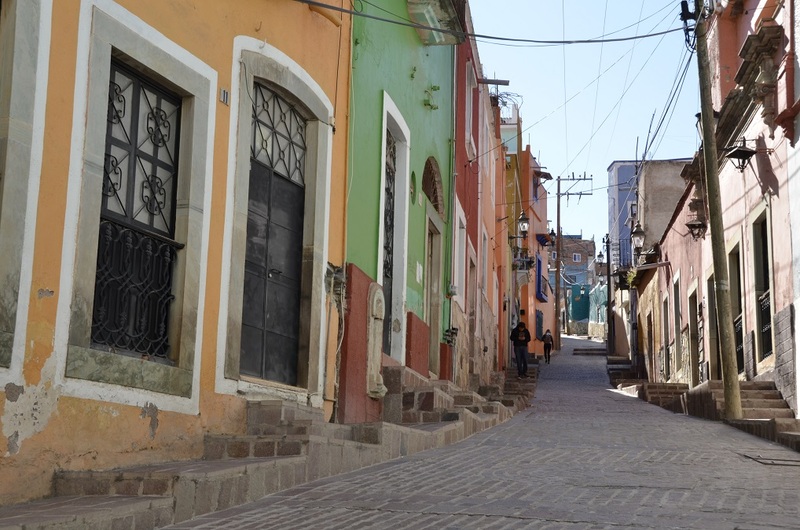 We spent a few hours walking around the alleys and had lunch at a small corner café that had great comida corrida (a full meal of soup, salad, entrée and a drink) for super cheap. 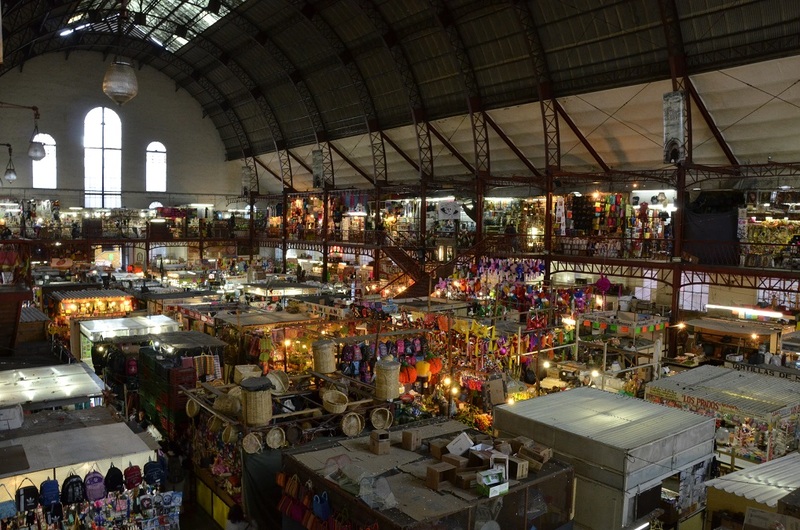 We then visited the Mercado Hidalgo (the main market in town) and finally the Alhondiga de Granaditas, which was on our way back to the hotel. 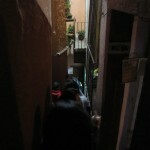 At night we attended one of the “Callejoneadas”, which are roving parties held by the students of the University of Guanajuato with live musicians. 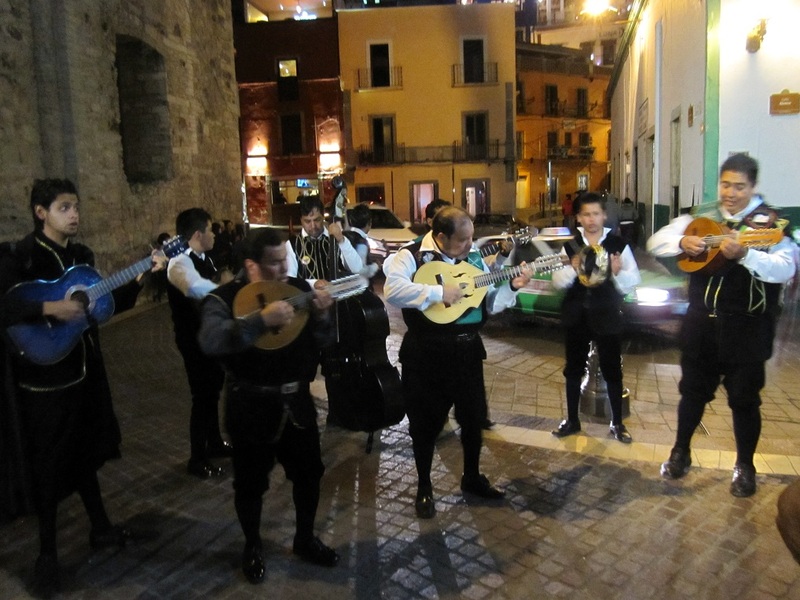 The musicians guided us through the alleys, sang traditional Mexican songs and narrated stories of the places we walked by. 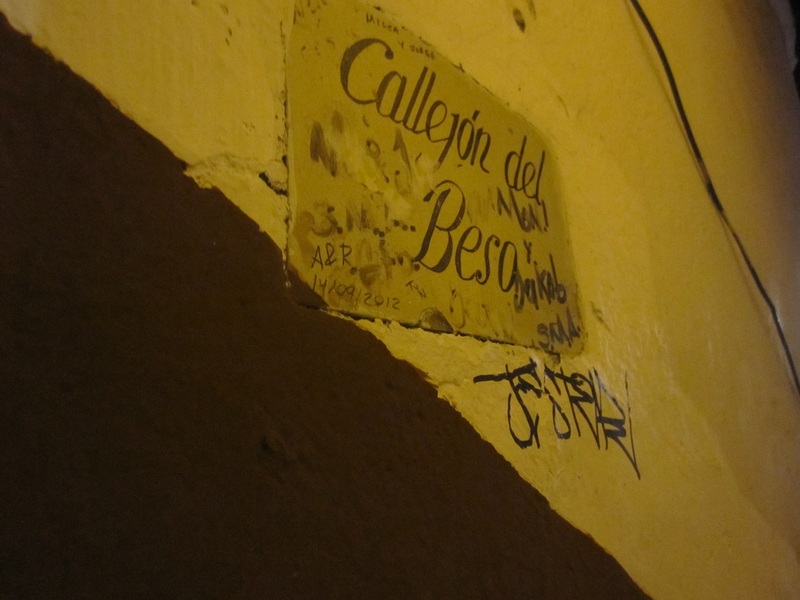 Our Callejoneada ended at the most famous alley, the Callejon del Beso, which was only 66-inches wide with balconies that nearly touched each other. 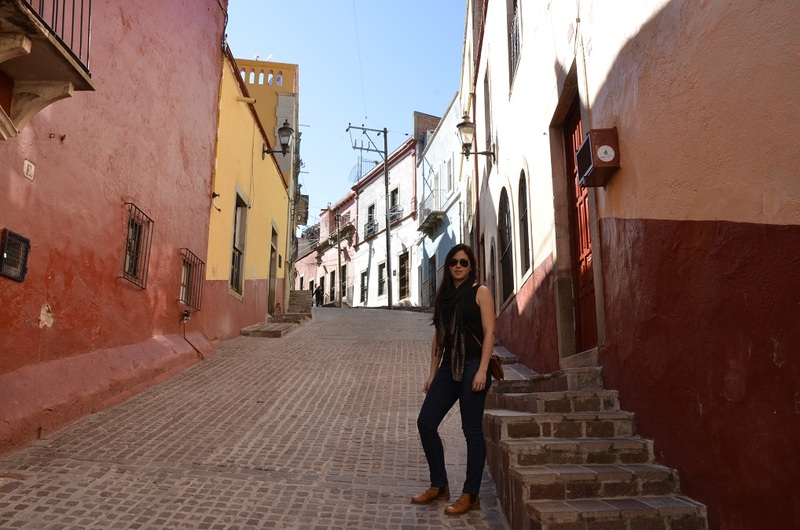 Folklore states that couples that kiss on the third step are guaranteed seven years of happiness together, so Greg and I couldn’t take any chances and kissed first on the fifth step and then again on the third (I think that means a lifetime of happiness). 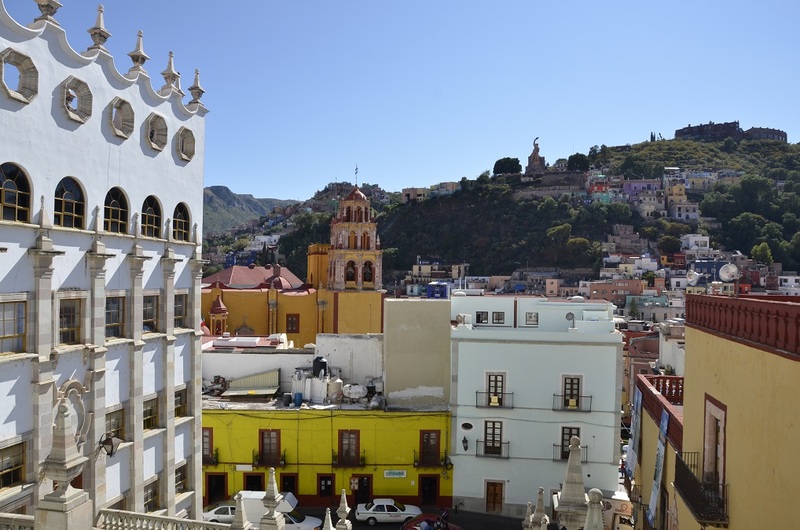 The next morning, on our way out of town, we visited the Mummies of Guanajuato, the city’s most famous (and least pretty) attraction. 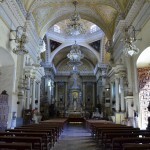 The museum had a collection of several bodies that were buried in the adjoined cemetery and were mummified naturally. 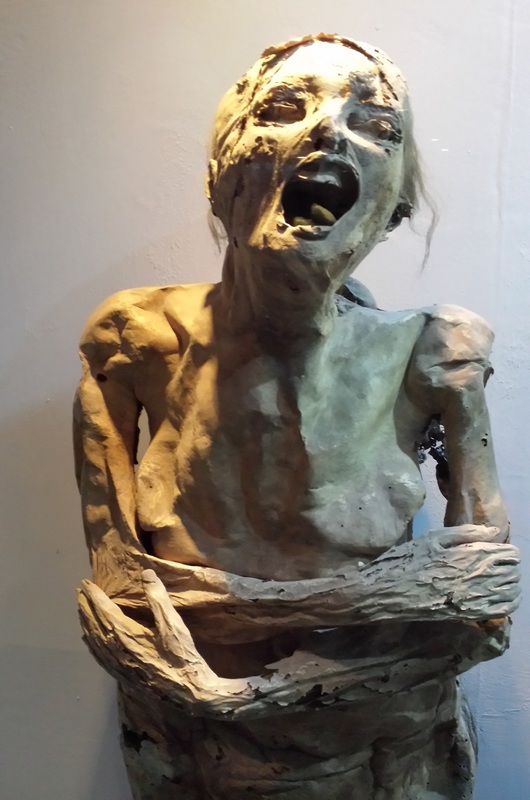 The mummies are displayed behind glass, but in the early days they were displayed in a dimly lit tunnel where people were able to touch them (some even broke off pieces to take as souvenirs! 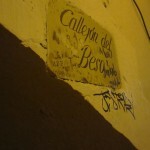 ), which is absolutely terrifying. 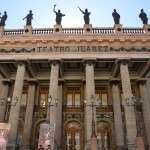 The 59 mummies on display (men, women and children) were quite the sight; intense facial expressions, perfectly defined features and even facial hair. 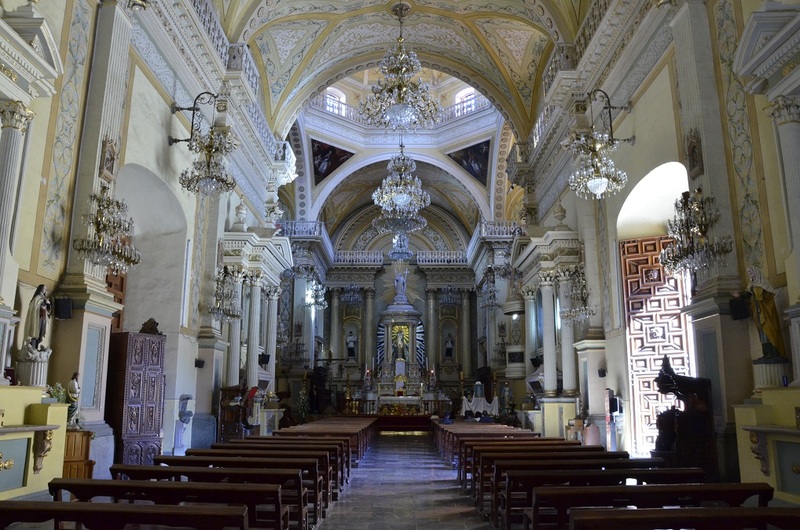 The visit was more interesting as our tour guide shared the stories of the dead, from being buried alive or murdered, to a baby that died after a caesarean went wrong. 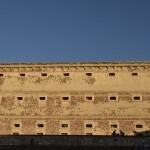 The 45-minutes we spent at the museum where enough to creep me out for the three-and-a-half hour drive home.